My name is Jan and I come from Slovakia. Before coming to Armenia, I had just obtained my Bachelor’s degree in Psychology in my home country. So I decided to take a break from my studies and change from learning to doing something more practical and getting some more real experiences. I love travelling and meeting different cultures. Therefore, volunteering through EVS (European Voluntary Service) at KASA Swiss Humanitarian Foundation seemed to be a great opportunity. 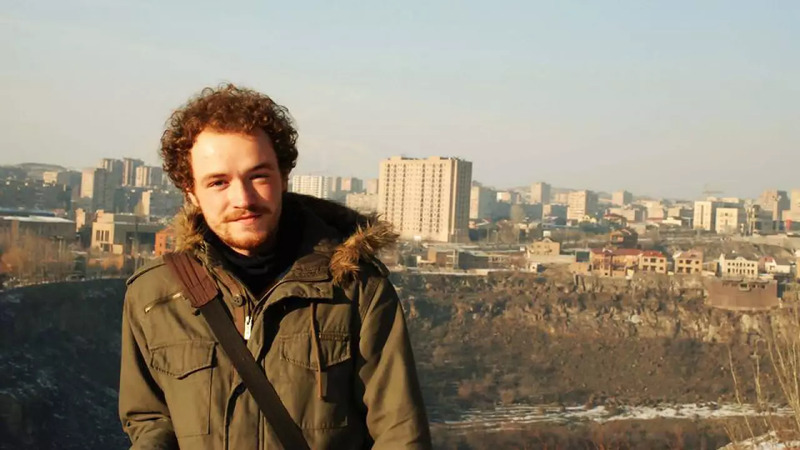 Since I came to Armenia, many people have asked me why I chose Armenia for my volunteering service and to be honest, it was because I knew almost nothing about Armenia. I considered it a good opportunity to explore a place which was unfamiliar to me. I started collecting information about Armenia, its culture, traditions, and got really interested in the country. And there were two very important factors (for me) that helped me to make up my mind; firstly, hiking is possible almost everywhere, and hitch-hiking is “strawberry raspberry” (jahoda malina – a Slovak expression for describing something as an easy). So doing something helpful for the Armenian society while volunteering and having a good time in the region – all while engaging in my beloved hobbies seemed to be a good choice. 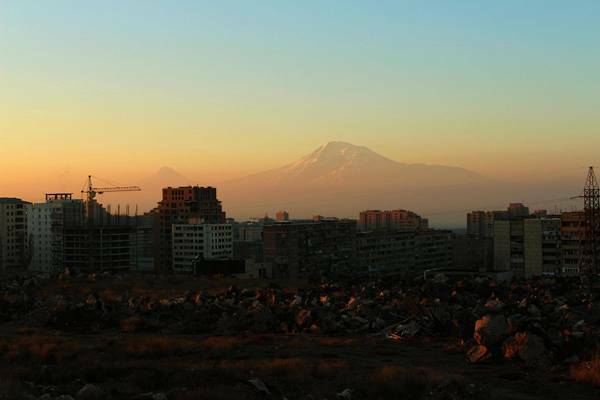 I didn’t have any specific expectations or illusions about Armenia. I just wanted to be somehow surprised after arriving in Yerevan. But actually, I was not surprised, or at least not at the beginning. I could say that I was surprised by the fact that I wasn’t surprised! Of course, the architecture is different, the people look different, but Yerevan is a modern city inhabited with people who have modern habits. After a period of observation, the differences became more clear to me. That is the moment when you see the real value of visiting a foreign country. On a marshrutka you always pay after ride. And the first thought I had: how is it possible that they don’t just run away?! Young people always offer their seat for elderly people. Actually, to be honest, in Slovakia you can also find young people who offer their seat to elderly people, but often the latter feel offended by the fact that they are perceived to be old. Random people act as cashiers on the marshrutkas. 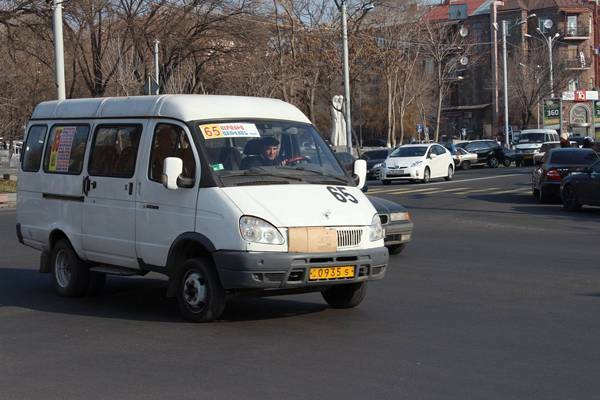 Try giving 100 AMD (the fee for 1 ride on public transport in the Armenian currency) to random people in Europe and the money would never reach the driver. I understand that this experience is not really an objective way to judge Armenian society, but my impression is that Armenian people are very respectful to each other. They are also proud, confident, loud…very loud =) but always with respect. Apart from discovering Armenia through my Marshrutka Experience, I have learnt a lot while volunteering for the “Young Citizens of Armenia” project. This project aims to introduce the idea of active citizenship to the young local people while giving them a neutral platform to reflect on their own role as an active citizen of Armenia. The project has a number of activities that aim to contribute to the goal of the project, including discussions clubs where I am actively involved. I am also co-animating its English club while preparing and leading discussions on different civil society development topics, including the environment, governance, and so on. This is a great opportunity to learn about Armenian civil society and to encourage the young people attending the discussion club to develop their own understanding and approach to the notion of active citizenship in an atmosphere with a plurality of opinions. I am also really happy for this opportunity to get first-hand experience and knowledge about Armenia while meeting and communicating with a number of people with diverse backgrounds that are visiting our club. And now, I am left with a 6-month countdown to my departure day from Armenia and I will use this period to further explore this unique country, its people, places and many other things I haven’t discovered yet.